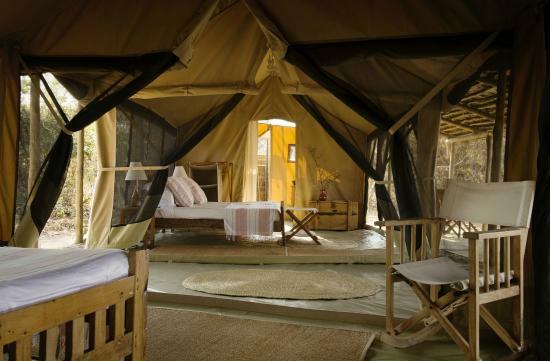 Kigelia Ruaha: A luxurious bush camp set on the banks above the Ifuguru sand river in Ruaha park. 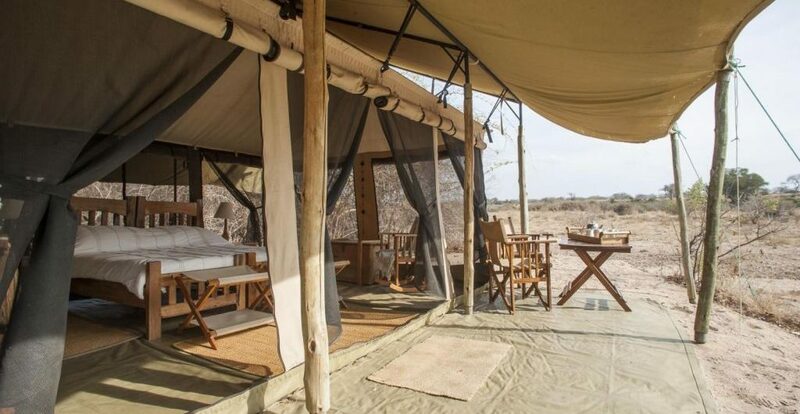 It consists of only 6 well-positioned semi-permanent tents that blend in with the surrounding bush, causing minimal environmental impact. The camp is furnished with elegant furniture, and plenty of water and real flushing loos, giving a real authentic wilderness feel. The bathrooms are fully equipped with a couple of hanging mirrors and a curtain which can be pulled for privacy. At the lounge areas sides are made of mosquito-net gauze, providing a cool breeze place to relax., furnished with a comfy sofa, a couple of chairs and a small wooden table topped with coffee table books, that has a natural and rustic edge to it, with patterned African throws to add style and a homely feel. 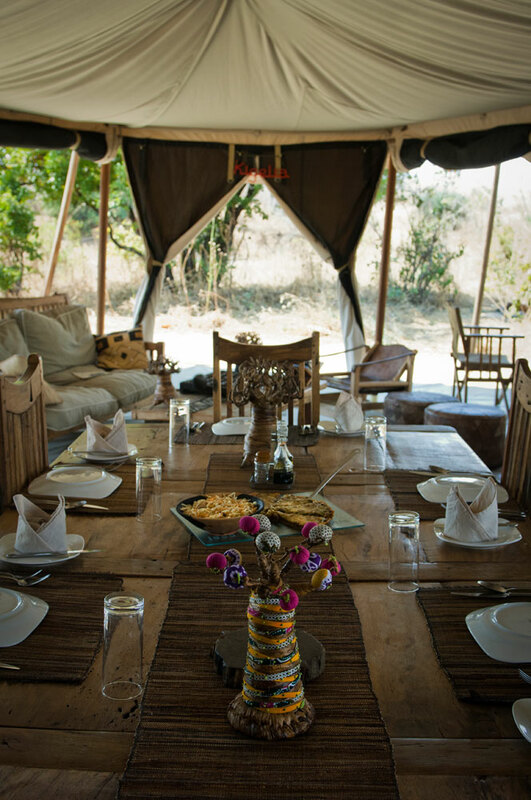 At the other end of the tent is a large sturdy table, where you’ll generally eat the meals and in front of the mass tent, facing the sand river, chairs are placed in the shade offering a place to relax. 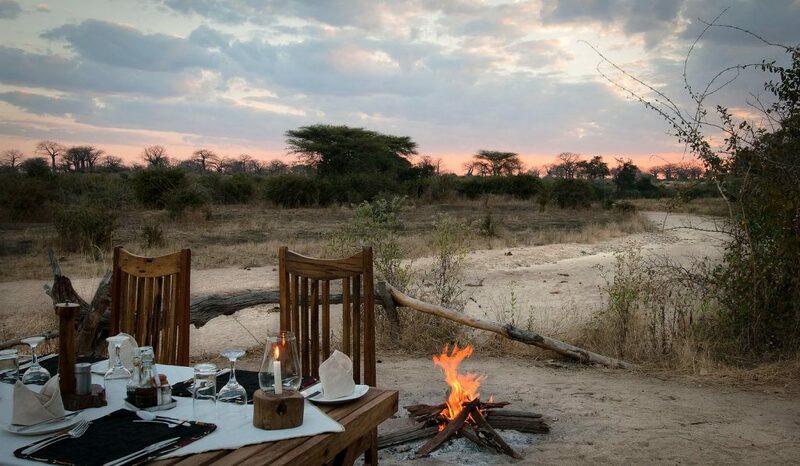 On the edge of the riverbed, there’s a small campfire where pre-dinner drinks are served.